The Mounting tab allows you to set the angle at which the unit is mounted. 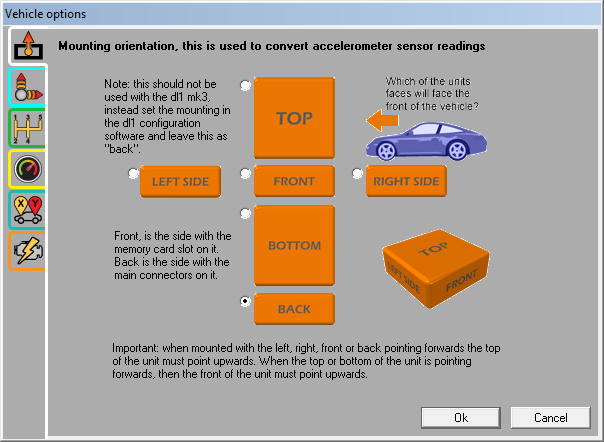 Select the face of the unit that is pointing towards the front of the vehicle. Note that on some hardware including the SPEEDBOX, DL1CLUB, DL1PRO, DASH2PRO the orientation of the unit is set in the hardware configuration, and in this case there is no need to set the orientation again in the analysis software. In this case just leave the mounting orientation as the default of �Back�.